The Insurtech startup Getsafe is developing a new modular insurance model that addresses the new generation of customers through digital processes. Every now and then we are lucky to be working with companies like Getsafe. The founding team behind the digital insurance company is young, dynamic and has high ambitions: Insurance needs to change. It needs to be better. Together with the team at Getsafe we launched the first modules of their health insurance earlier this year. And set the foundation for the startups journey and new challenges. A bunch of paperwork and forms with words written in a font size smaller than anyone could possibly decipher. Sounds familiar? Nobody can and should live without insurance, but especially the younger generation is confronted with the traditional insurance company’s approach: It’s oddly unfamiliar and unattractive. The conclusion of an insurance contract means filling out complex forms — the policies aren’t rendered in a comprehensible and simple way. Especially in the insurance industry, trust plays an important role, but due to the societal shift we’re experiencing that especially new customers, mostly young adults are unsettled by this traditional approach. If this initial step is already overly bureaucratic and complex, the insurance company has failed. To kick-start digitalization in the insurnace industry, we have to start at the first touch point with potential customers and the customer experience should be the focus of all efforts. At least, this is our point of view. Getsafe seconds this and thus the brand revolves around the values that the new generation of customers cares about deeply: Individualization, control and a maximum of transparency. Getsafe aspires to render complex topics in a comprehensible and accessible way. The startups customers are always in control of their policy and has an overview over their insurance model. Customers should be able to maintain and manage their insurance in a simple way through the iOS and Android app offered by the startup. By accessing through the mobile app, the user has their insurance with them at all times: Getsafe positions themselves as a daily advisor rather than an intangible insurance product. In contrary to traditional insurance companies, the startup offers a lifestyle product and is close to its customers. When Getsafe approached us with their challenges and asked us to support them, the aspirations behind the the product were clear and quickly understood. 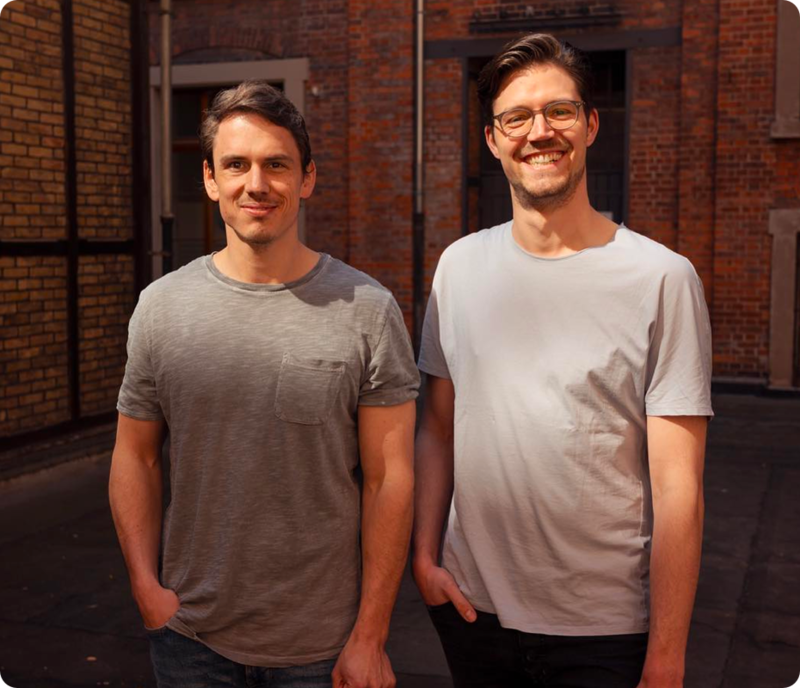 Many of what the German startup is looking to build fits in with our ideas and visions about how the finance and insurance industries of the future should look like. The first challenge we tackled together was to convey those ideas and visions to potential customers. We needed to buil a website that explained the concept of a modular and digital insurance, showcasing the different combinations of insurance modules. The message conveyed: Getsafe is more than an insurance company. Fresh. And emotional. We worked on a mood and image board that shouts ‘This is not a traditional company’, but a simple to use and still aspiring product that is tailor-made for the customer. True to the motto “Insurance made for you” we chose to showcase the insurance concept behind Getsafe as independent as possible. Different modules, different benefits. The user should be informed through an overview of the different options the product has to offer and still see enough detail to tell which module fits him best. And which doesn’t. To allow the user to compare the different modules and benefits we built a compare table that is optimized especially for mobile users. Getsafe reaches their customers mostly through mobile channels — that’s why our focus has been on a seamless desktop-to-mobile experience. Key functionalities should work well on both end devices. This core concept of a modular insurance, that the user can personalize based on their own requirements and needs is captured throughout the entire website. The conclusion of the first insurance contract walks the customer through a digital acquisition funnel. The existing funnel had to be evaluated: The conversion rate needed to be improved and there were pain points to be tackled. In a two-day workshop on-site at the startup’s Heidelberg office we sat together with the team to analyze pain points of the existing funnel. From there we developed a new version that builds trust with the customer during the conclusion of the insurance contract. Many of these ideas and insights also went into our Customer Acquisition product for banks and insurance companies. Once the customer has effected their policy they can view it in the app and download it. But the app should also be the primary way to maintain and manage the user’s personal insurance setup anytime. For the architecture concept we thus had to make all categories and insurance products easily accessible. It should be easy for the user to see, which areas are covered, and which aren’t. While the initial contract is closed only through the Getsafe website, booking other modules is the main use case within the mobile app. Since we were facing an early phase, it was clear from the very beginning that the app would later be extended with more functionalities, categories and modules. Thus it was important to focus on a scalable navigation concept that would guarantee this extendability at all times. As mentioned earlier, the aspiration was to create a lifestyle product. Users should have more touchpoints with the app than just the rudimentary check-in at the beginning that slowly decline in frequency. Instead, we wanted them to always be in touch with their insurance. This was also very important for the apps architecture: it’s not a one-time visit to download the policy, but rather an experience that challenges the user to think more actively about all areas of their personal life and the insurance modules that could cover them. Erfahren Sie mehr über unser Unternehmen, unsere Herangehensweisen, die Finanz- und Versicherungsbranche und die letzten Tech Entwicklungen.